We are looking for owners with sufficient expertise and capital to successfully operate multiple Great Harvest stores. We require domestic multi-unit franchise applicants to have a minimum net worth of $3 million, and a minimum of $1 million in liquid capital. Previous multi-unit franchising and restaurant operations experience are strongly preferred but not required. Cultural fit is important, too. We seek partners who are willing to follow our recommended best practices and guidelines, but who are also excited about putting their own local spin on their business. We want you to take our proven systems and make them your own, without having to reinvent the wheel. 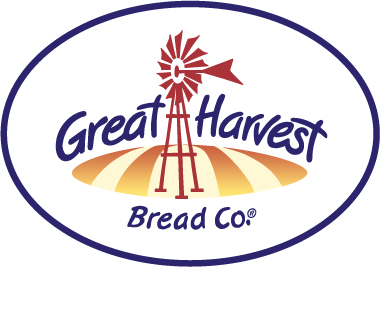 Great Harvest is an authentic brand, and we want you to be as enthusiastic about it as we are. Although we are a franchise, at our heart, we are a collection of locally-owned businesses. We have never aspired to be a cookie-cutter franchise, the kind where you go into a store, and the menu and decor are identical to every other location across the country. Our success has been built by integrating local flavor, through establishing relationships within our local communities, and approaching business with a spirit of generosity, as a part of the community. Be Loose And Have Fun. Run Fast to Help Customers. Create Strong & Exciting Bakeries.